CHICAGO, April 18, 2018 — Student Ivette Salazar and Joliet Junior College agreed today to settle Salazar’s First Amendment lawsuit against the Illinois college after she was detained for handing out political flyers. Salazar’s suit, filed Jan. 11, prompted policy changes that will protect the speech rights of the more than 38,000 JJC students. 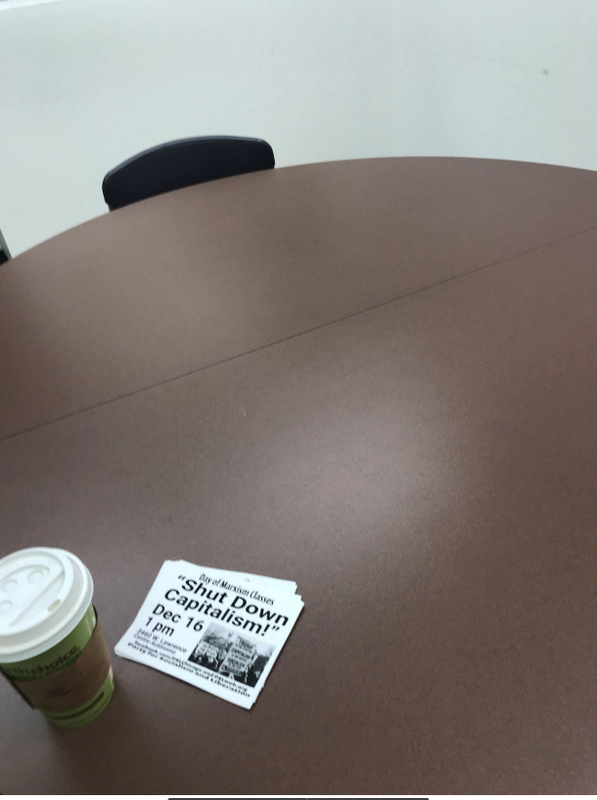 Salazar was detained in November 2017 for distributing flyers from the Party for Socialism and Liberation that read “Shut Down Capitalism.” She was reported by campus staff, detained and interrogated by JJC police, and told she could not distribute her flyers without the college’s permission. The lawsuit against the public college was brought as part of the Foundation for Individual Rights in Education’s Million Voices Campaign, which aims to free the voices of one million students by striking down unconstitutional speech codes nationwide. As part of her lawsuit, Salazar challenged the constitutionality of the school’s “Free Speech Area” policy that restricted expressive activity to one small, indoor area of campus. After its filing, JJC’s Board of Trustees withdrew the policy, replacing it with one modeled on the “Report of the Committee on Freedom of Expression” at the University of Chicago (better known as the “Chicago Statement”). JJC joins 37 other institutions nationwide in adopting this principled statement on free expression. JJC’s new policy allows for expressive activity throughout the college, constrained only by new, constitutional time, place, and manner regulations. As part of the settlement, JJC also agreed to pay Salazar $30,000 in damages and attorneys’ fees, and to provide training to its staff and campus police on the new policies and procedures. The lawsuit was filed in partnership with FIRE Legal Network member and former president of the First Amendment Lawyers Association Wayne Giampietro of Poltrock & Giampietro in Chicago. Giampietro served as co-counsel with FIRE attorneys in the case. If you are a student who has been censored on campus, FIRE and its Legal Network partners stand ready to protect your First Amendment rights in court. Students interested in submitting their case to FIRE may do so through FIRE’s online case submission form. Attorneys interested in joining FIRE’s Legal Network should apply on FIRE’s website.